Check out these books written by my great co-author! 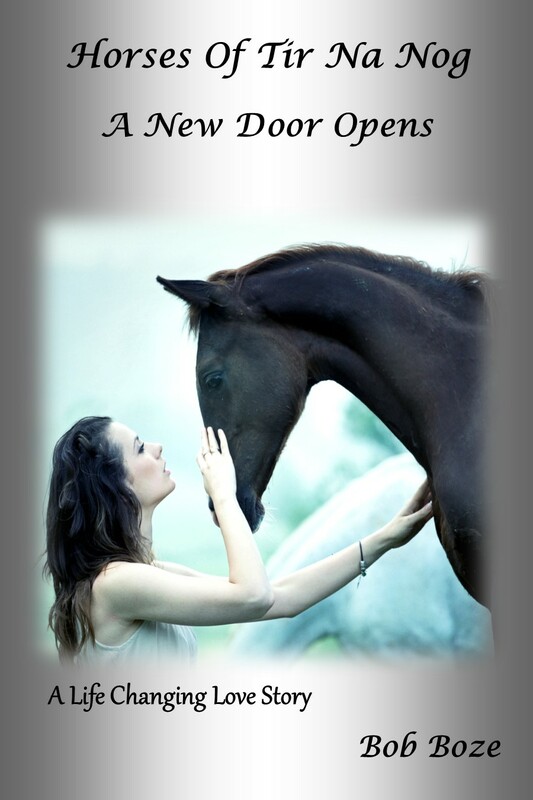 An incredible love story about the bonds of trust, passion and friendship that will forever change the lives of a fireman, the manager of a horse rescue ranch and everyone around them. A story of compassion, unending love, forever friendship and the joy of seeing life and the world through the eyes of others. CJ’s early years were an absolute train wreck. At 19, her short life had nearly ended. Dumped in a field like a piece of garbage, she had been stripped naked, raped, beaten and left for dead ……… By 20 though, she had taken her life back and started to turn things around. She had spent a year in rehab and, while there, earned her high school degree and finished a year of junior college. 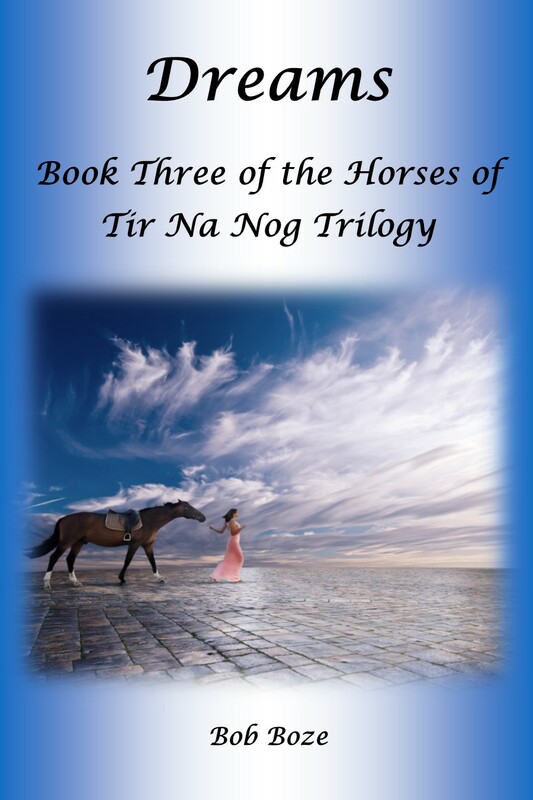 Now, five years later, she is the manager of the Horses of Tir Na Nog Horse Rescue Ranch, surrounded by the most magnificent creatures in the world. For the first time in her life, she has found warmth and friendship and is completely in love with life. But will it last? Is her life about to derail again? Sitting in the shed, the storm pounding around her, she leaned her head against his as he took his last breath. Will her new found life go with him? Will this plunge her back into the darkness that had been her life for so many years? Or, had he just opened a new door for her to walk through? Follow the sisterhood as it grows and spreads its bonds of love, warmth and friendship. CJ is the happiest she has ever been as everyone returns from New York. Engaged to the love of her life, she is about to start college and launch her new career. Shannon, the second in the sisterhood trio, has also fallen madly in love with a fireman and now they both are determined to help Christine find that “special someone” out there for her. A task greatly complicated by Shawn and Bert because Christine has vowed to settle for no one short of their equal. Even though this should be the happiest time of her life, CJ’s mind is a jumble of worries. Will Shawn’s constant over protectiveness cause her to call off the wedding? A move that would not only devastate Shawn but forever destroy their friendship with Shannon and Bert. By agreeing to help the girls from GenerateHope will it drag her back to the life she’s tried so desperately to put behind her? Is a joint wedding and honeymoon really a good idea or will spending so much time together drive a wedge between the two couples and shatter the bonds of the friendship they all cherish? And what about CJ’s strange dreams? The ones that stop being dreams and become reality? Are they truly dreams or warnings she needs to heed? CJ’s dreams continue, as she finds herself back at the Grand Bazaar in Istanbul. First, seeking protection for Rachel, then, the entire Sisterhood. (Actually, make that Sisterhoods; as there will soon be three.) Her final trip will be to introduce someone very special to the merchants who protect her. But will her biggest dream, to have a baby, come true? And, will Shawn embrace her dream? Now in college, CJ must leave the ranch in the hands of Shannon and Christine. 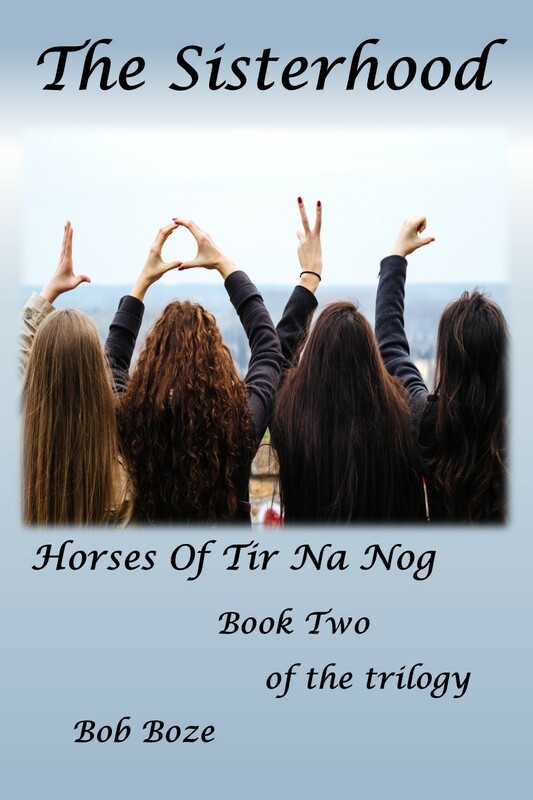 The two sisters that she would trust with her most treasured and loved possessions: Be they her husband, her friends or the horses they all cherish. With Paige and Jessie about to graduate from GenerateHope, what does fate hold in store for them? Will life find them back on the street or, will the Sisterhood protect and nurture them so they can grow into the wonderful women they are meant to be? For Alice, was moving to the states wise? Will the rest of the Sisterhood love a person who can’t tell a horse from a sheep or a chicken, as much as CJ and Shannon? And, what about the person who followed her from London? The one who’s obsessed with her. Facing one of the driest years in history, Shawn, Bert, Rachel, and the rest of the firemen and EMT’s of the Bonita-Sunnyside Fire District, will spend most of their summer at the station. While they protect the people of Bonita and San Diego County, the girls will find themselves protecting the ranch they treasure and the horses they love. As I leave CJ, Shawn and all their friends, to enjoy the rest of their lives, I can only hope that you’ve enjoyed sharing their lives, as much as I have. Please join me in as I close the final chapters in the lives of some of the most wonderful people I know. What’s it like to have your love life devastated….twice……before you’re six? What’s it like when everyone knows how your life will turn out…….5 months before you’re born? What’s it like to step off a bus in a foreign country 3,500 miles from home and feel like you were always meant to be there? What’s it like to be enchanted by history and a city that has been the center of trade and multiple empires for over 2000 years? What’s it like to volunteer at the World Famous San Diego Zoo for over 20 years, only to find out 10 year olds know more than you do? What’s it like to show the love of your life the world you so dearly love, only to find out she’s really the one leading the parade? To find out the answer to these and thousands of other questions, come fly with me and my pretty girl with a cape as we travel the world and life! Follow the author and his wife, as they travel the world …. several times over. Laugh at their funny stories, self-inflicted crazy events, strange observations, wacky zoo facts and snippets, tales from their restaurant days and hilarious motel stays. Better yet, dine with them on excellent food, in their favorite restaurants, as they reveal their treasured travel secrets and memories. 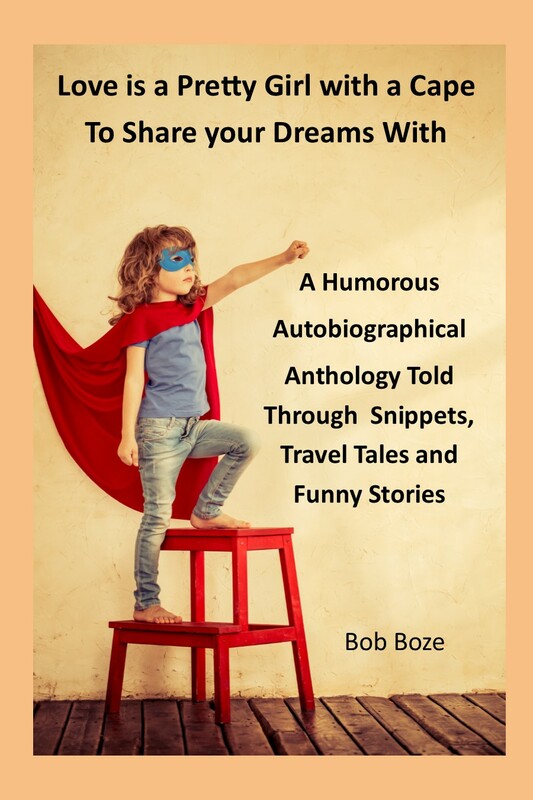 Check out Bob’s Amazon page and all the links to his books plus click here to be transported to another world ie his web site!